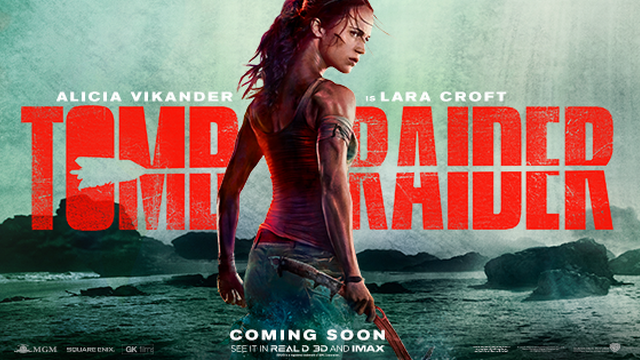 Warner Bros have released the second trailer for Tomb Raider. The film will tell the origin story of Lara Croft as she attempts to finish the work her father started while going up against the organization known as, Trinity. The video adaptation is only a few months away and the studio is beginning to gear up for a major marketing push in the next few weeks. The film will try to break the video game adaptation curse that has been around for a long time, films such as WarCraft, the Hitman films, and recently Assassins Creed. Previously Angelina Jolie starred in two films as the Tomb Raider but now someone else will be taking on the mantle, Alicia Vikander will be playing the legendary hero that will be based off of the recent video games that started hitting consoles in 2013. The film is directed by Roar Uthaug and also stars Walter Goggins as the head of Trinity and Dominic West as Lara Crofts father.